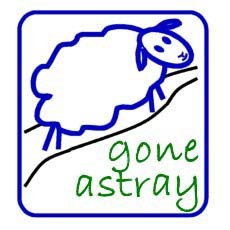 Go astray - spend your holidays with us at Dyffryn Isaf. Enjoy peace and quiet, walking, watching nature and learning new skills. Dyffryn Isaf is a small organic farm in a very quiet valley in rural Pembrokeshire. Stay with us in Dove Cottage, a self-catering holiday cottage, and enjoy listening to the stream, the owls at night and our goats during the day. We are located in easy reach of Tenby, St David's and Cardigan and you can explore the magnificent Pembrokeshire Coast National Park and the Preseli Hills from here. We offer spinning and weaving craft activities. We feel privileged that we can live and work in such an unspoilt and beautiful environment. Farming organically helps us to work in balance with the nature that surrounds us. The rich wildlife that you can see on the farm is our reward. We loved our time at Dove Cottage. My 11 year-old daughter loved spending time with all the animals and the setting was idyllic. The location was also the perfect base for exploring different parts of the stunning Pembrokeshire coastline and the peace and quiet and time away from the internet and TV was just what we all needed. Steve and Bettina were really friendly and helpful - thank you for a lovely stay. We had a wonderful time, in spite of a decidedly dreary second half of the week weather-wise. Happily, the wood burning stove is ideal for those circumstances, as well as the company of Socks and Lucifer, surely two of the most affectionate and sociable felines in the world. The Pembrokeshire Coast path is a sure recommendation, with stunning views of the cliffs. Had a great 5 days in Wales, we couldn't have picked a better spot for sightseeing - something to see in every direction. Pembroke Castle was fantastic as was Carew. The seaside at Tenby was a nice change although really windy. Loved the drive down to the cottage - kept expecting Frodo and his friends walking along the path. The cottage is warm, comfy and cozy. Our children aged 3 years and 16 months have both enjoyed a magical holiday, playing with the cats, exploring the adventures on the farm and seeing the newborn lambs. Paddling in the ford and stream was another pleasure for them. Our daughter was thrilled to see the spinning and relieved she didn't fall asleep for a hundred years. We are all feeling recharged. What an idyllic setting for a wonderful holiday in Pembrokeshire! Thank you so much for a warm welcome. Thank you also for answering our endless questions, our woolly chats and advice on great days out. We will miss the warmth of the log burner, the soft water, the sound of the stream, the cockerel in the mornings, above all the peace and quiet and serenity which has recharged our batteries. Hope to visit again soon! This place is full of exitement and Stephen is really nice, he let us milk the goats. Socks is a very cheeky girl cat, beware she loves to go into this house. The farm is great fun, the sheep are so cute. Marloes Bay has some jellyfish with 3 feet long tentacles. The chickens are very cute. The house is cosy and lovely!!! What a great holiday, 2 weeks of no TV, computer nor mobiles (no signal = bliss). Cottage is bigger than we expected and the warm welcome you get when you arrive is just the start of little things that make your stay here special. Took me back to my youth when I found the original game of Downfall, showing my 13 year old son all the (but not all) secrets on how to win the game. We are going home with lots of great memories, feeling relaxed and recharged. We are organic, certified by the Soil Association. We are WWOOF hosts - WWOOF members can stay with us and work for us, we give you food & a bed.